February is here, which means that it is time for everyone’s favorite Hallmark holiday, Valentine’s Day. I’ve never been a big celebrator of Valentine’s Day, but I’m not going to knock anyone who loves it. If you and your significant other like to celebrate the day together, but you’re sick of dinner and a movie date night options, then you’ve come to the right place. Columbus has so much more to offer than 3-course meals and the latest Marvel movie (although let’s be real, Black Panther looks amazing). Are you ready to get a little adventurous this Valentine’s Day? Unless you live under a rock, you’ve probably heard of COSI’s wildly successful, adults-only evenings. This month, COSI After Dark just so happens to fall right on Valentine’s Day. So naturally, the theme is “Love”. You and your date can learn all about the science of love, from human pheromones to wine chemistry. There’s also a part of the evening where you can name a cockroach after your ex, so don’t let that get too awkward. Tickets are $14 for members, $18 for non-members in advance. For more info, click here. Nothing says romance like throwing a sharp axe as hard as you can against a wall! This 1.5-hour adventure will cost you $32 per person. You don’t have to be an expert in target sports before going in. Trained “axeperts”, yes that is really what they are called, will show you the ropes when it comes to axe safety. They’ll also give you some pointers on hitting your target. The best part of this date night is that you can say goodbye to the uncomfortable sports coat or shoes that leave you with blisters. Flannel shirts aren’t required, but they’re definitely encouraged, and this date is closed toed shoes only! 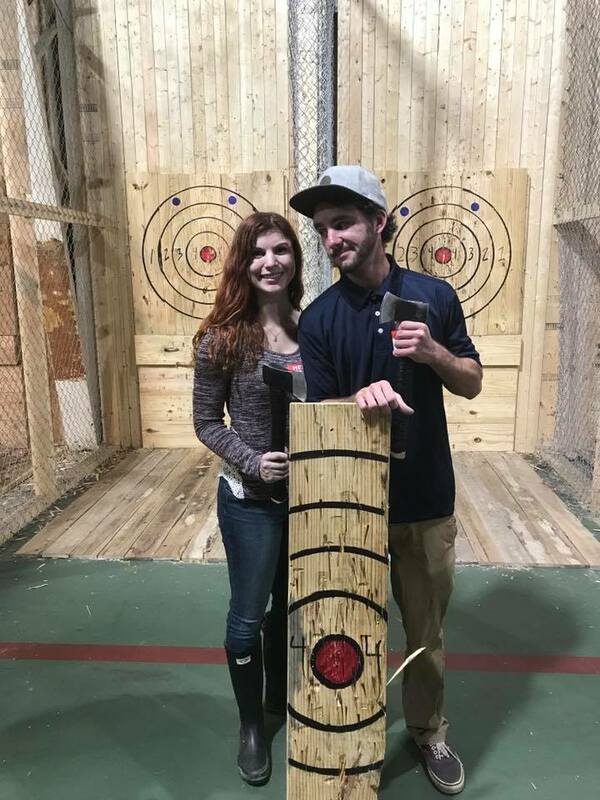 Columbus Axe Throwing isn’t accepting walk-ins on Valentine’s day, so be sure to make a reservation soon. For more info, please click here. Want to enjoy a romantic evening under the stars? 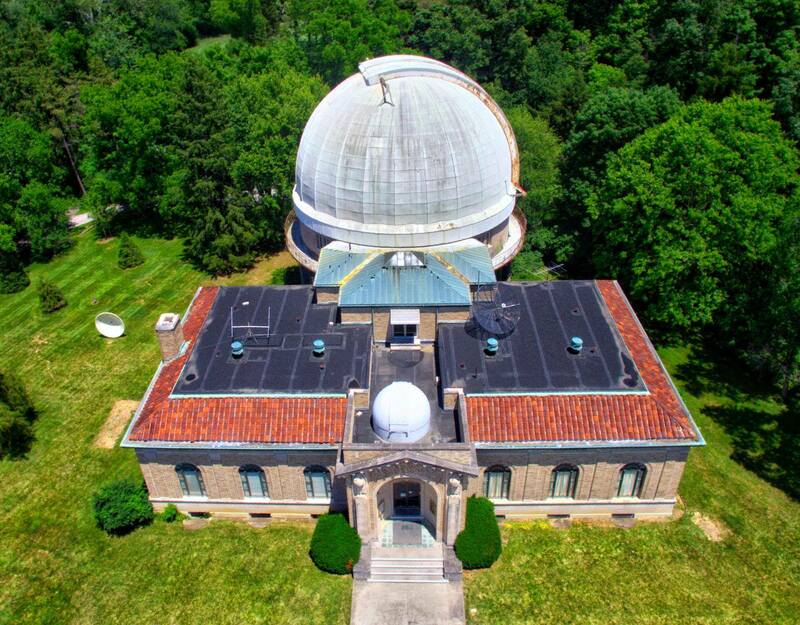 If you’re celebrating Valentine’s day the weekend before or after, then the Friday Night Public Program at Perkins Observatory would be the perfect date. The programs focus on viewing the stars, but there are also cloudy-night backups because this is Ohio, after all. The programs tend to sell out quickly, so the observatory recommends that you book a few weeks in advance. Tickets are $10 per person. For more info, please click here. Looking to show off those artsy skills? Columbus Printed Arts Center is hosting a special event for Valentine’s Day. CPAC has teamed up with Ghost River Furniture and Three Buds Flower Market so that workshop participants can print images on hand cut and shaped wood and learn a technique called chine-collé to press flowers onto surfaces using our etching presses. 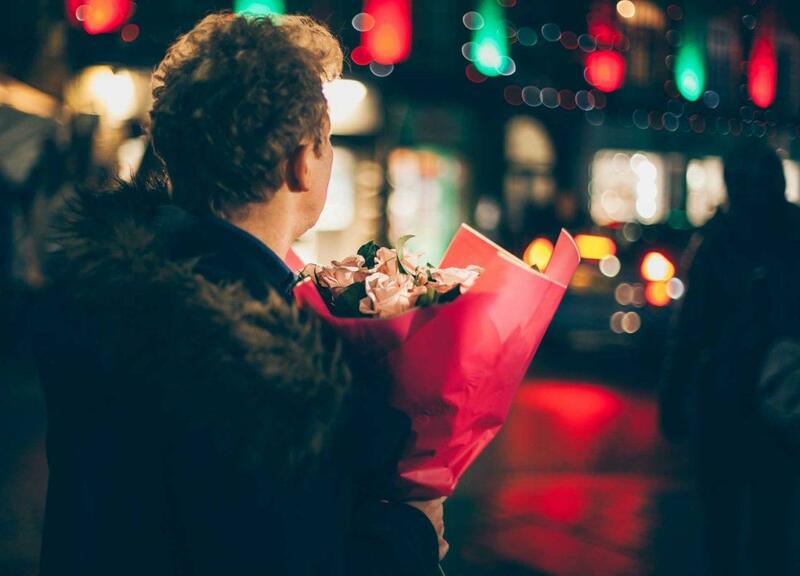 At the end of the night, participating couples can take home their hand-crafted art and mini floral bouquet! The workshop will take place on February 15 from 6:30-9:30 at Columbus Printed Arts Center, 2000 S. High St. You can grab your tickets here. Franklin Park Conservatory is hardly an unknown date location. In fact, it’s one of the best places to go for a date in the city. But on the off chance that you haven’t already thought of it, I thought I would include it. Their Valentine’s celebration is going to be amazing. Enjoy wine, chocolates, live music, perfectly regulated temperatures, and tons of beautiful plant life. This event is 21+ and they offer a few different packages. For $20 per person, you can enjoy three wine and chocolate pairings. For $30 per person, you can upgrade to the deluxe package and get six wine and chocolate pairings, as well as a keepsake wine glass. Reservations are encouraged. The evening will go from 5 p.m. to 9 p.m. on Valentine’s Day. If you want to get super fancy, you can upgrade your evening with an additional package that includes two tickets to the event, plus a night’s stay for two at Hotel LeVeque and breakfast at The Keep! For more info, please click here. I know it’s pretty close to dinner and movie, but there’s something so romantic about seeing a stage show. Columbus has plenty of options for a night at the theatre, and the show this city won’t stop talking about is Hamilton. 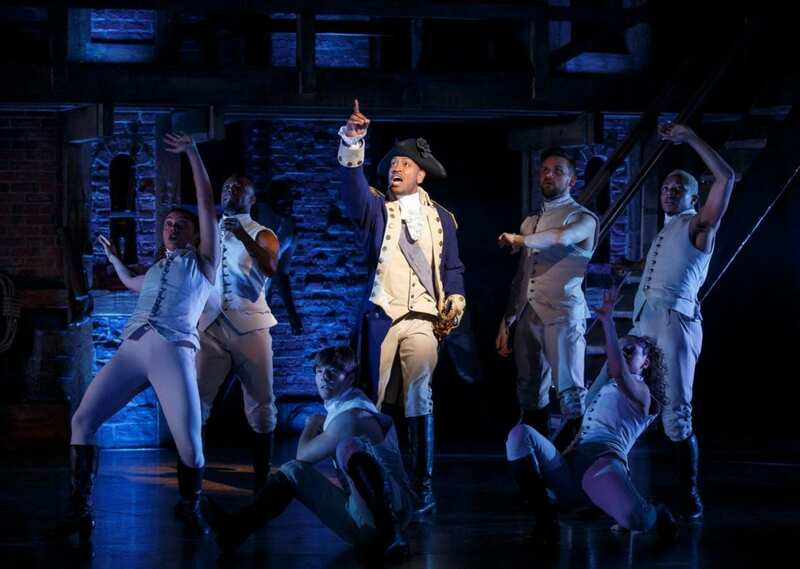 Now, tickets for Hamilton aren’t exactly easy to get, but if you’re willing to drop the $$$, you can probably find some. And just because you can’t afford the fancy seats doesn’t mean you can’t go. You can always enter the lottery for your shot to win two tickets. Trust me, your date won’t care how much you paid for them once they are in the room where it happens. You can purchase tickets here, or get more info about entering the Hamilton Lottery here.